When I'm not playing guitar, I enjoy creating things from wood. I began making things for the home, but after some positive interest from friends and family, I now sell various handmade items via eBay. Below are examples of the items I'm currently making and selling. Please click on the photos for a closer look. If you see anything of interest, please get in touch via the contact page or visit my eBay and Amazon sales pages for current stock. All items can be ordered directly from me and bespoke requests discussed, with payments taken securely by PayPal. Please contact me with your requirements. 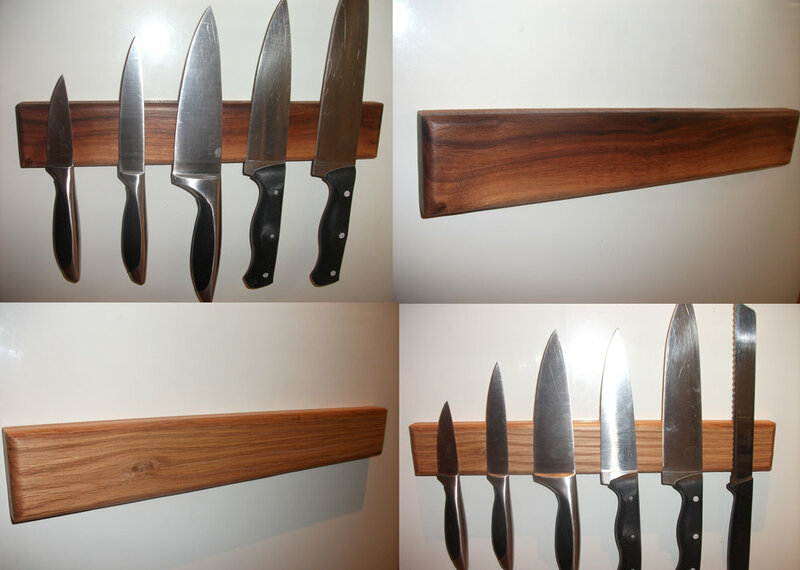 My very popular knife racks are handmade from solid Walnut, Oak, Kiaat, Wild Mango, Zebrano, Beech and Ash. Strong, neodymium rare earth magnets are enclosed in the back enabling the knives to be held securely and evenly spaced. 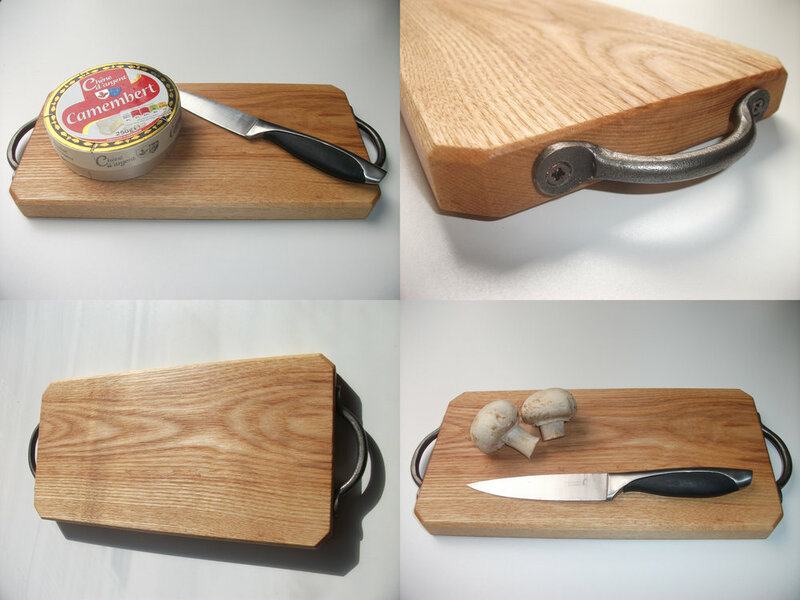 Bespoke sizes can also be created to hold any required number of knives and from a variety of timbers, if I have them in stock (see photo). The racks have a satin, sanded finish with an application of food-safe mineral oil. Hidden keyhole fixings on the back ensure a clean, simple and elegant finish. My highly popular pinch pots are made from solid oak, walnut, sapele or a chess board design of walnut & maple. They can also be used as tea light holders. Finished with food-safe mineral oil. My wall-mounted wine racks are created in various elegant designs and securely hold 6 full bottles of wine. 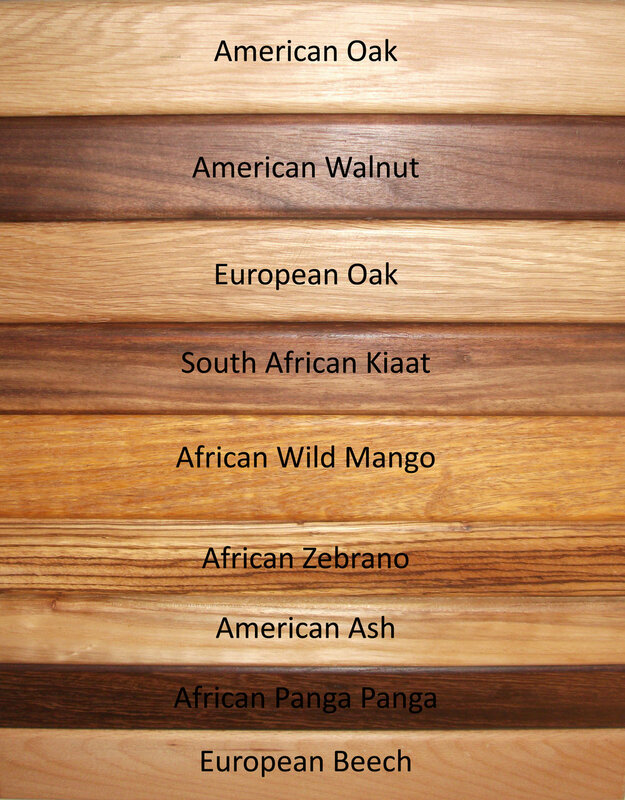 The zigzag rack in the photos is made from from solid wild mango and the vertical rack is oak. 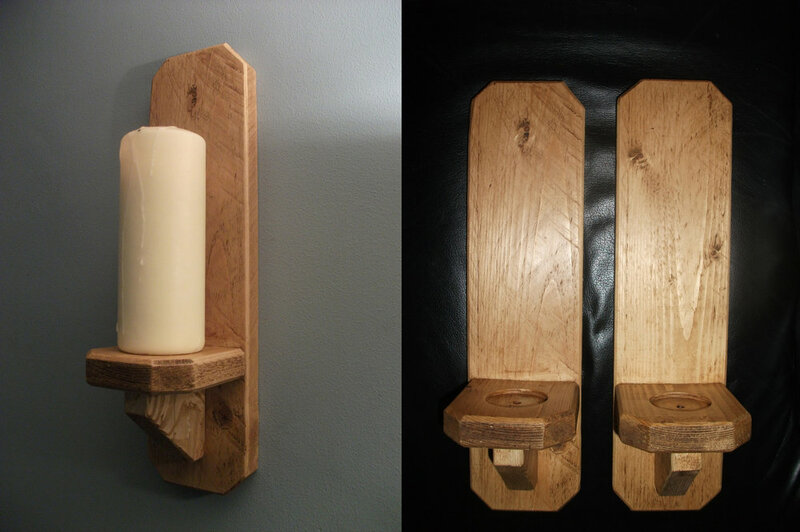 Both designs can be bespoke ordered from oak, wild mango, walnut, cherry or kiaat and can be made to hold 2, 4 or 6 bottles. The racks have a satin, clear wax finish to enhance the natural beauty of the wood. Designed to be mounted on a masonry wall, the racks come complete with secure fixings and mounting instructions. These watch racks are designed to hold up to 10 watches, keeping them safe and accessible. 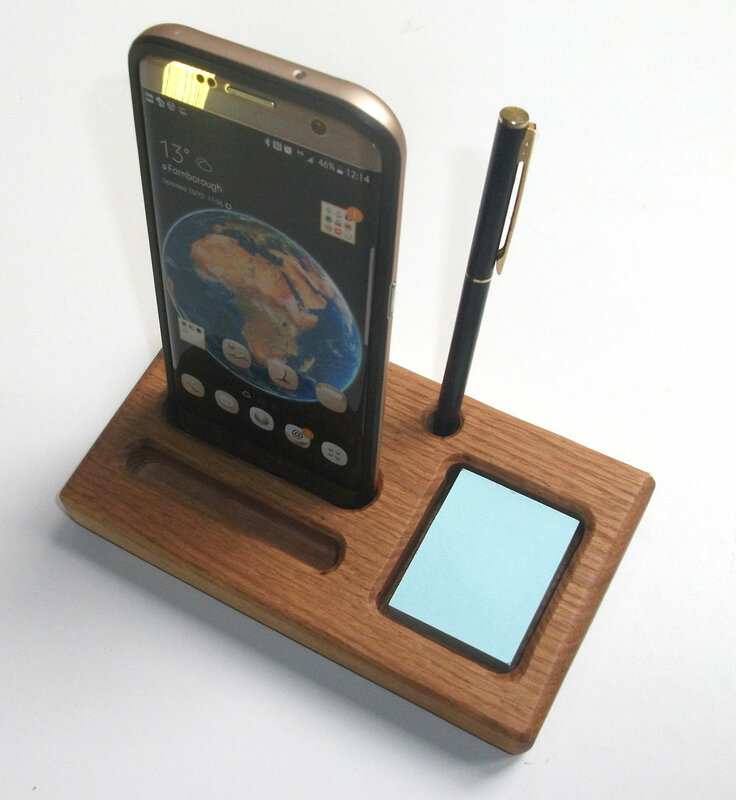 The racks can be made from a variety of woods and can hold from 2-10 watches. The wood is finished with Danish oil to protect and enhance the timber. Hidden keyhole fixings ensure the rack is securely attached to the wall. My popular wall-mounted, bone-shaped, dog lead racks are handmade from solid oak, wild mango, walnut or cherry and have two large, acorn tipped, cast iron hooks for hanging dog leads and collars. The racks have a smooth, clear wax polish finish, which protects and enhances the natural wood. Hidden keyhole fixings ensure the rack is securely attached to the wall. These elegant racks are handmade from solid oak. The dowel roller is also solid oak. They are finished with a clear Danish oil to protect and enhance the natural wood. The towel rails can be made to any length and have a fixed roller. The kitchen and loo roll holders are designed to fit most common sizes of roll and feature an easily removable roller for quick changes. The racks can be mounted either on a wall or cupboard, using the keyholes cut into the back. This handmade, wall-mounted bike box / hanger is designed to save precious space by mounting your bike on a wall, keeping it out of harm's way. Made from solid pine, it features a storage box for shoes and helmet and has two brushed stainless steel clothes hooks for jerseys/waterproofs. Foam tubing protects the bike frame. Although designed for road bikes, it will also hold a mountain bike (see photo). The box comes with strong fixings for masonry walls, but can also be mounted on a timber surface. The box is only suitable for interior mounting. Box dimensions (approx): (H) 290mm ( W) 320mm (D) 370mm. Weight 4kg (approx). Maximum full handlebar width: 640mm. 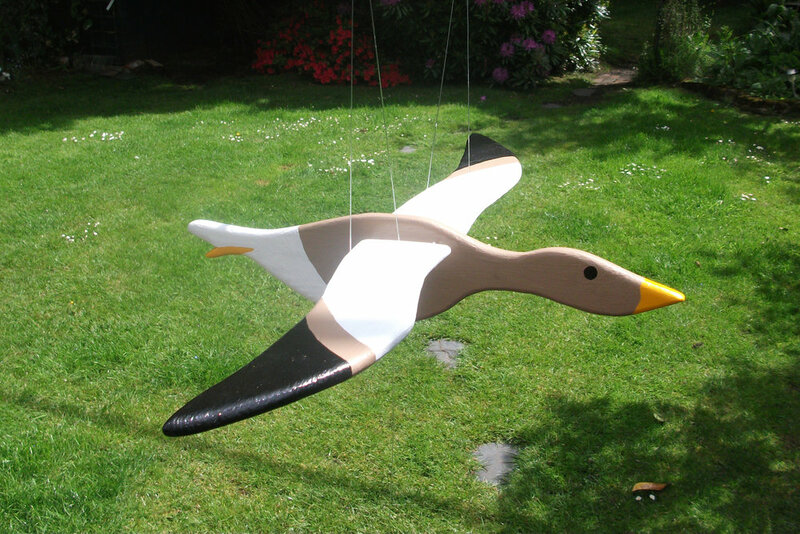 This item is made to order (approx 10 days lead time if materials are in stock). 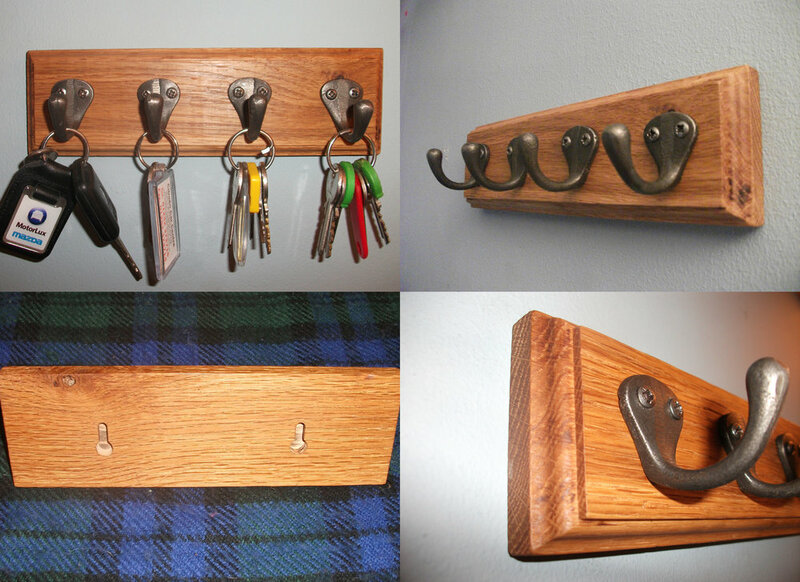 Here is a selection of some of the other items I make. Please click on the photos to enlarge them. This is a folding chair for classical guitarists, which I made for my own use. Made from American oak and with an ergonomically designed seat and back rest, specifically for support when playing the guitar for long periods of time. The chair has accompanied me to many gigs since and is very comfortable and supportive, particularly for the lower back. This was my first major woodworking project. It was a learning process, particularly the upholstering, but the end result was everything I wanted. The chair is not for sale and not currently available to order, due to high labour and material costs.